Query No. 32 NB - KUDAT Proud D3 postmark? 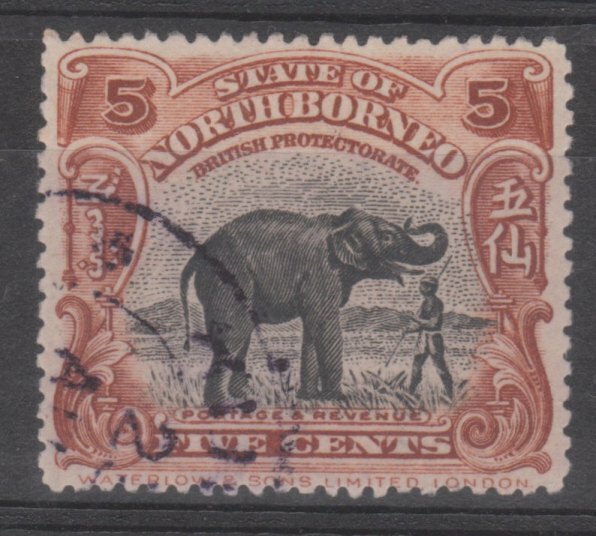 Proud describes a KUDAT cds (D3 although it is un-numbered in his book), as 'The above cancellation has only been see on high values off cover and probably indicates fiscal use.' I can only identify the postmark on this 1909 stamp as D3. Has anyone any comment to make.